Write vanilla comments that automagically convert into full test spec files. 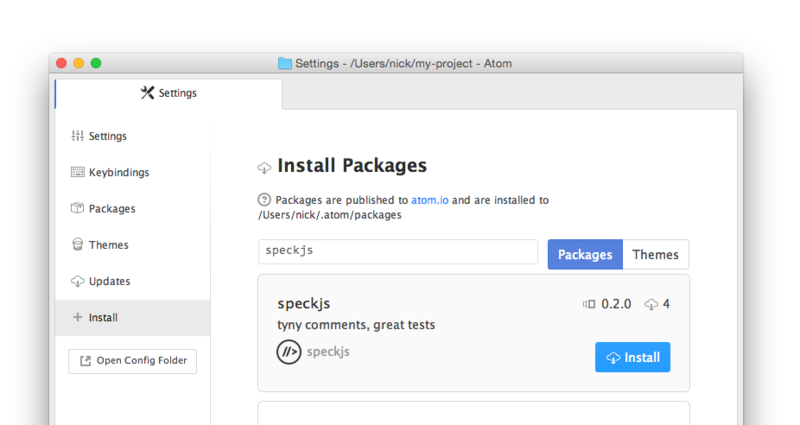 SpeckJS allows you to get started using Test Driven Development on a new project, to quickly add unit-tests to your existing project, or anywhere in between. Ready? Let’s get started. This example shows a Tape test. SpeckJS compiles tests for Tape, Jasmine, and Mocha/Chai.